It amazes me how our society of young adults do not know how to make change in a real-world setting like the grocery or a retail shop. This application reminds me of a piece of software that my school once used to reinforce money, Math Arena. Knowing that the software is out of date, and iTouches/iPads are the up and coming hardware, I felt that this should be an app that I download and review. Although 4th and 5th grade does not have specific benchmarks which highlight the reinforcement of money, they are working on adding/subtracting of multiple digits as it applies to decimals and even percents. Knowing the following information, is why I downloaded Bills and Coins. Not only does Bills and Coins meet the standards of my current educational population, it was an added bonus that it was FREE!!! This free app includes five activities: Counting Money, Show Me the Money, Making Change, Matching Amounts, and Show Values. Within each activity, users have the option to work on just coins and/or bills and coins. In addition, there are two-three levels of difficulty. A thought – wondering if the developer would add the option to have more than one player. In addition, would it be possible to have a parent/teacher option that would allow them to set some preferences: number of problems, calculating percentage correct, or even the option to zoom in on a value. I noticed being on the iTouch that I couldn’t see certain dollar values and was unable to solve the problem correctly which might cause frustration for some users. Would it be possible to have the option to have both modes of landscape and portrait? As I mentioned earlier, this application would be a perfect way to supplement the outdated software that some schools currently have. 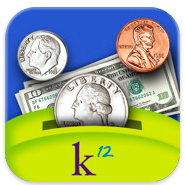 A great way to integrate this application in the regular classroom would be to have it downloaded to an iPad that is connected to an InFocus project, then all students could see money in action. A teacher could use the iPad like a tablet or have their students come up and show how to solve the problem. While others could be using individual whiteboards as a place for students to solve the problem and compare strategies. In addition, when a particular student is struggling with the concept of money, this too could be used as a center activity. The possibilities are endless with this application. Bills and Coins is a definite thumbs up addition to any math program!!! You can read more about K12 Inc. by visiting their website – http://www.k12.com/. 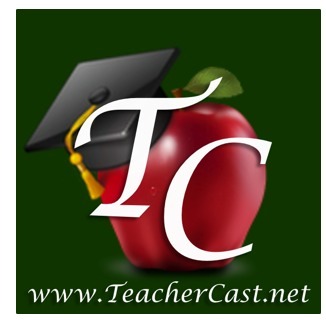 If interested in downloading from iTunes, be sure to click here.